Maggie Rogers Drops Another Gem With "On + Off"
Maggie Rogers drops a suitably wistful video for viral hit "Dog Years." Watch now. 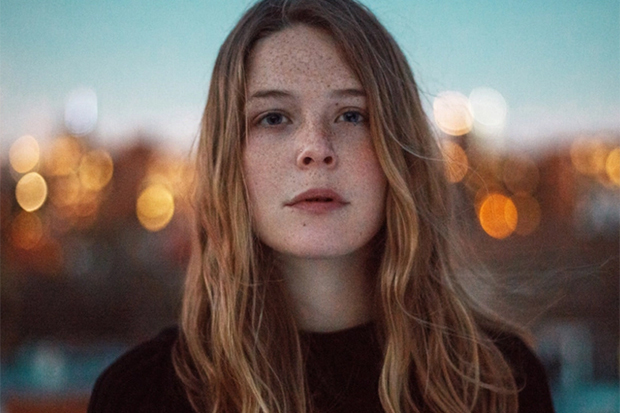 Maggie Rogers got her big break when a video of Pharrell listening to “Alaska” in stunned silence went viral. The producer was critiquing students as part of a Masterclass at NYU’s Clive Davis Institute, but he had nothing but praise for the singer/songwriter. The track inevitably took off and the Maryland newcomer backed it up with the equally enchanting “Dog Years.” She now makes it three in a row with “On + Off” — a dizzy love song with breathy vocals and warm, multi-layered production. “Take me to the space where I need someone, where I’m shaking all my monsters coming undone,” Maggie wails over a symphony of samples and disjointed (but strangely harmonious) sounds. “You turn me on like oh oh oh oh.” Like “Alaska” and “Dog Years,” “On + Off” is part of the break-out star’s debut EP, Now That The Light Is Fading. It drops February 17 via Capitol Records and will be supported by a 14-date North American tour. Fall in love with the song below.